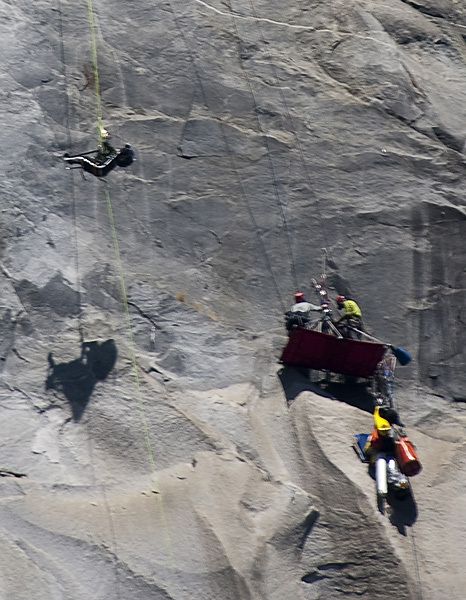 Steve Wampler today made history as the first cerebral palsy sufferer to climb El Capitan in Yosemite National Park. He topped out early evening on the Zodiac route, graded A2 5.7, after spending 6 days with his team ascending the 1800′ route. Steve was raising awareness and funds for the Wampler Foundation, an organisation that delivers wilderness programs for children with disabilities. 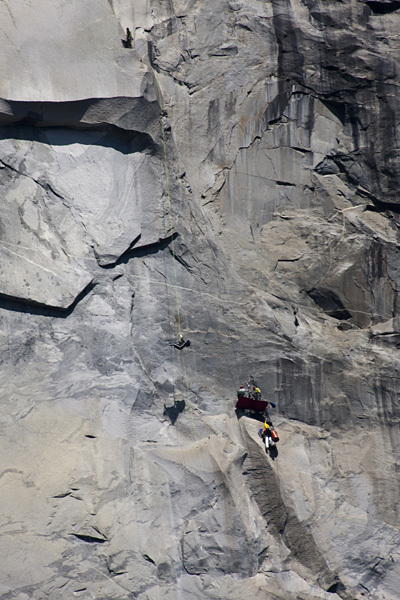 Steve jumarred his way up the route performing an estimated 20,000 pull-ups from his specially constructed stretcher in the baking Yosemite heat. 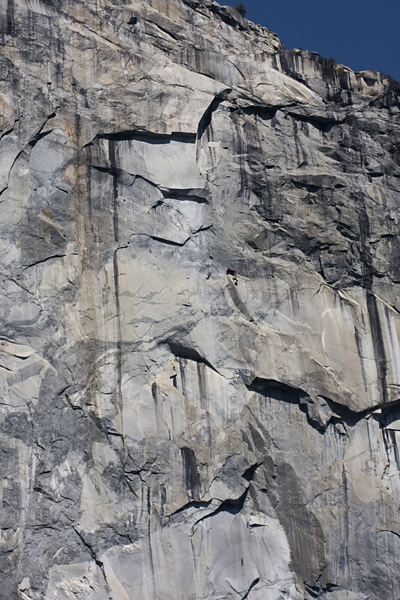 I caught a few images of Steve on pitch 13 (out of 16) making his way up to Peanut Ledge. 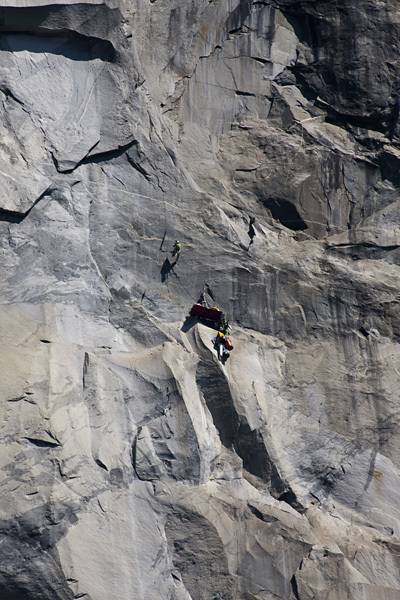 For more information and images got to El Cap report and Supertopo. 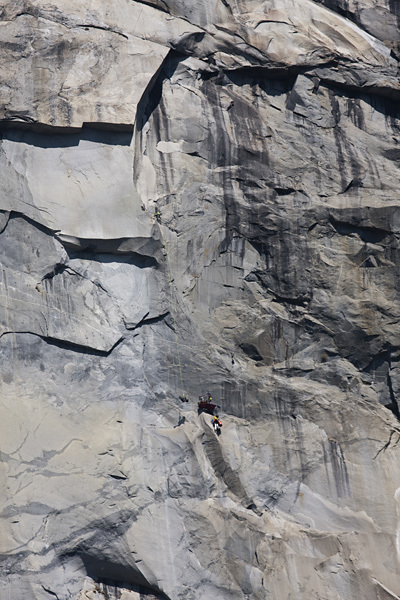 Team Wampler start pitch 13 of Zodiac. 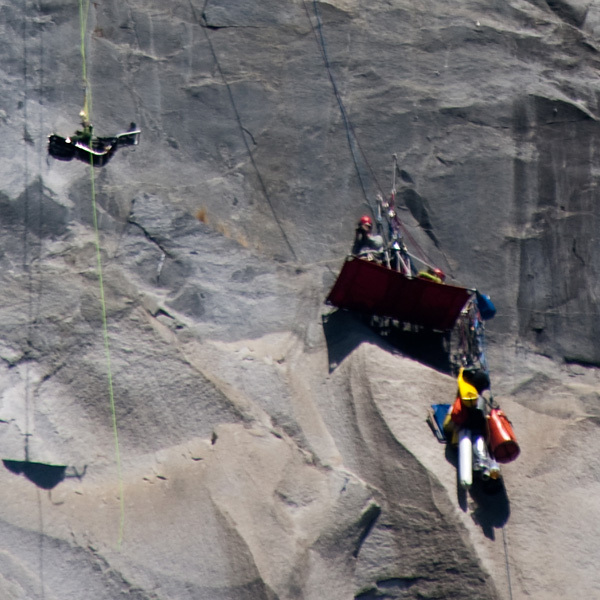 Portaledge image center with Wampler slightly left. One of the support team jumars ahead of Steve to Peanut Ledge. Steve is lowered out from the portaledge ready to start climbing. 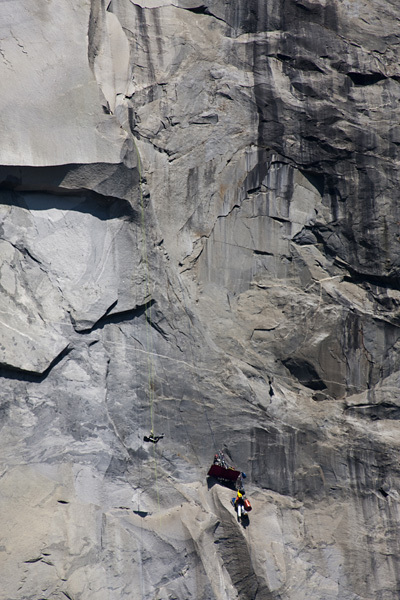 The crew filming Steve’s ascent. Some spectators commented that Steve was waving to them, but this was just uncontrollable arm spasms.